During walks around Vienna in the summer of 2005, Ugo Rondinone made a number of drawings. In these sketches he picked out windows and architectural details from the city’s buildings. 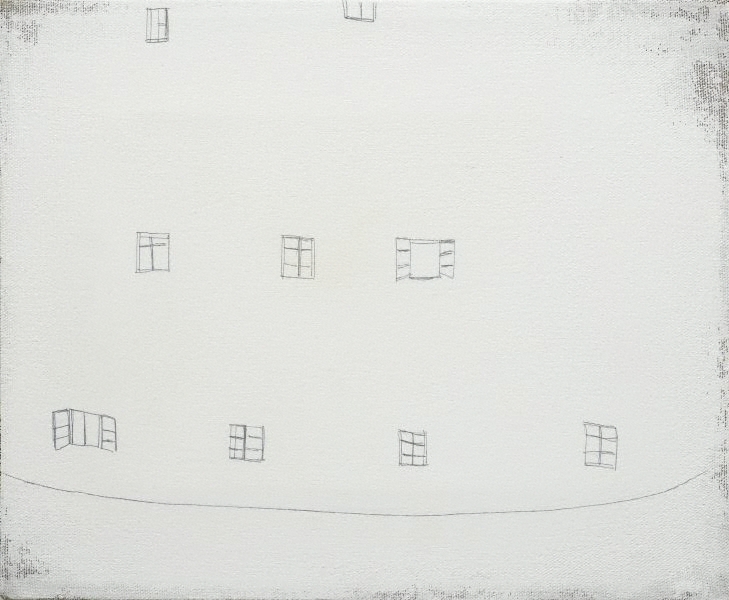 For the exhibition 'my endless numbered days', at Sadie Coles HQ, 26 January – 11 March 2006, these have been transferred, as pencil on white canvas into a series of beautifully delicate, iconic paintings. On the reverse of each canvas are images cut from 'The New York Times' on the date each painting was made. The blunt reality of these images creates a jolt after the delicate fairytale like musings of a flâneur in the city.